Big Star’s third album isn’t a happy affair. 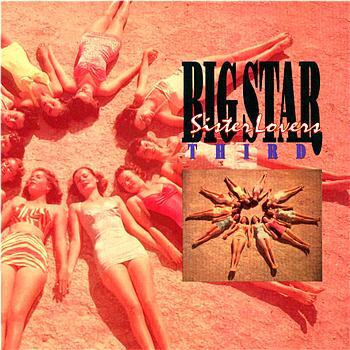 The record was delayed for four years by their label and issued in various configurations before finally being issued on CD as “Third/Sister Lovers,” nearly 15 years later. More than three decades later, it remains a fascinating mish mash of songs about death, abandonment, sexual paranoia and odd Velvet Underground and Jerry Lee Lewis covers. “Jesus Christ” is barely over two and a half minutes, but Chilton doesn’t even need that much to get his point across. The track starts with 20 seconds of nonsense before song kicks in, and closes with a saxophone solo from guest Carl Marsh that betrays the band’s Memphis roots. The performance has a deceptively spare arrangement, alternating between raw verses delivered with just Chilton’s guitar and voice and Jody Stephens’ drums. The touches of piano and percussion on the chorus, however, show that the boys have studied Phil Spector’s Wall of Sound. Although he’s barely audible in the mix, producer Jim Dickinson is presumably somewhere in the background, thumping away on bass.